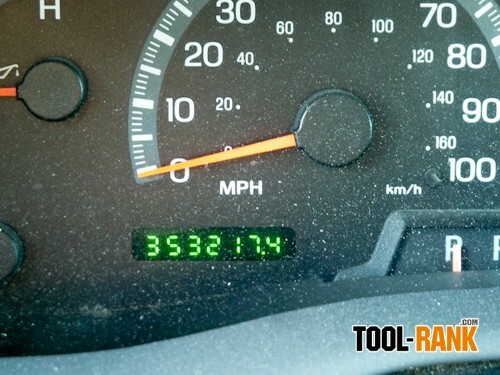 Tool Blog Editorial 353,217.4 Miles and counting— How Long Will My Ford F150 Last? The Pickup truck is perhaps as common on the job site as the tape measure, but I'd guess that only a few tape measures have rolled out as many inches as my F150 has rolled out miles. 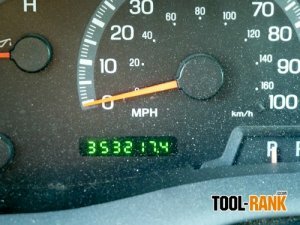 The last time I sat in the crew cab of my Ford peering into the dash, the odometer read 353,217.4. Now, among the trucks on any job site, that would have to be rare. With not much more than regular oil changes and routine maintenance, the original engine and transmission have seen tires and brakes come and go; whereas my buddies driving other brands have seen their trucks come and go. The interior of my 2001 Ford F150 crew cab has held up equally as well; except for a rear passenger door that can't be opened from the outside and a gas receipt stuffed ash tray compartment that sticks, everything else works like when I first drove it off the lot. The power adjusting seats and mirrors still adjust, the glove compartment still holds everything but gloves, and the rear-view mirror with a working compass still shows me where I've been and who's behind me—even the upholstery has remained tear free. Now no one who knows me would say that I've taken meticulous care of my truck; in fact, it's always in a perpetual state of needing a wash, and a vacuum would be a welcomed sight to the carpet. 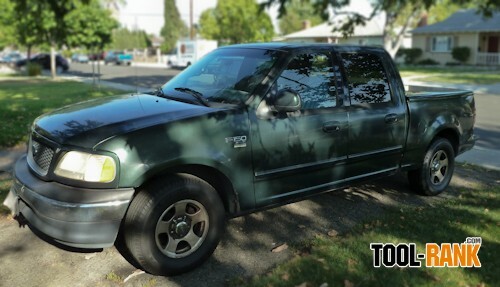 But despite my seeming neglect, I really do like my Ford truck; and when the time comes, I hope that the Ford Motor Company still has a truck that will serve me as well as the model I drive today. And though this might sound like an advertisement, and though I wouldn't object to my truck being featured in a Built Ford Tough ad, the reality is that it's just a really good truck.